June 30th through July 12th. Most carnivorous plants will grow successfully in acidic media. 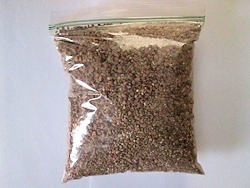 Sphagnum peat or long-fiber sphagnum moss are the media of choice, with added material that makes the media suitable for drainage while undiminishing its acidic properties. 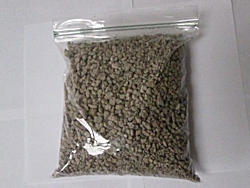 Selections include perlite, vermiculite, horticultural quartz sand and the like. Unfortunately, many of the larger commercial retailers do sell these ingredients, but often they have been supplemented with various additives and fertilizers which may be beneficial to other species, but are nearly invariably deadly to carnivorous plants. 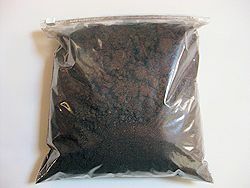 We offer media, pots and more below..
Sphagnum peat moss is the ideal all-purpose carnivorous plant medium. If you're not certain where to begin, this is a reasonably fail-proof opening medium ingredient for most carnivorous plant species. Proper drainage is essential for almost all carnivorous plants grown in "captivity". Absence of proper drainage may lead to root rot and eventual death of the plant. 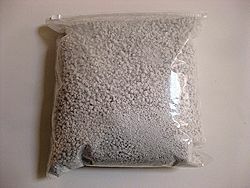 Pumice, though not commonly found here in the Northeast, is often used as a drainage ingredient in media favored by Bonsai growers. 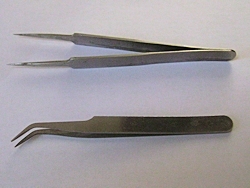 However, when it also an effective component of mixture used for Cephalotus and Nepenthes. 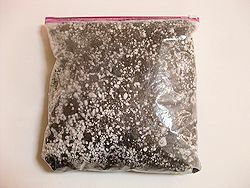 This generic 1:1 mix of peat moss to perlite is a basic mix that can be used on almost all carnivorous plants. I typically use it for Dionaea, Sarracenia and Drosera, but it can be used with Nepenthes and Pinguicula as needed, as long as the proper watering conditions are used. 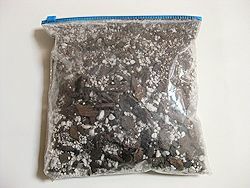 This is a mixture that consists of 20% peat moss, 40% perlite and 40% orchid bark. This is one of two formulations that I use for Nepenthes pots. The peat moss is sufficient to provide the necessary acidic soil, while the perlite and orchid bark allow for strong drainage. 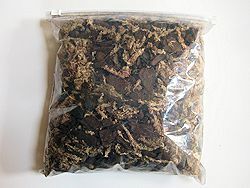 This is a mixture of 50% long-fiber sphagnum moss and 50% orchid bark. This alternative Nepenthes formulation retains more water than Mix #2. The use of LFS over peat moss means that watering may be less frequently done, but care should taken to ensure that the medium is not so wet that root rot develops. This is a zeolite-based substrate, which has served me well with several species of Mexican butterwort, including P. esseriana and P. gigantea, which do not require conditions as wet as those of many other carnivorous plant species. While all of our plants are provided already potted, you may find that you're looking for additional pots, or possibly larger pots for repotting. We have a small selection of gently-used surplus pots for sale. Colors may vary depending on availability, between green, black and orange. 15% discount will apply for five or more pots of the same size. 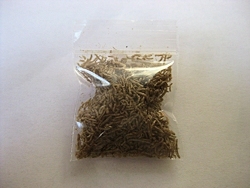 Useful tool for handling insects, bloodworms and small plants. 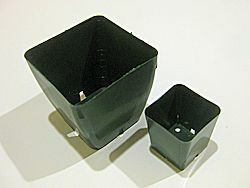 The Sakura IdentiPen is ideal for use with plant labels in outdoor pots. 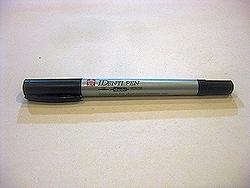 The writing is fade-resistant, water-resistant and even alcohol-resistant (unlike Sharpie permanent markers.) 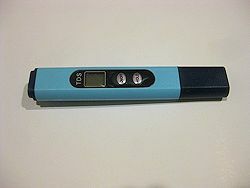 I've used the same Sakura pen for the past three years in labeling my plants, with no problems yet.